Ask any St. Charles driver when was the last time they rotated their tires and you’re bound to receive a range of answers, from a few months ago to never. While rotating tires was once part and parcel to preventive auto maintenance, the times have changed and this seemingly simple service has largely fallen by the wayside. One reason is the advances in tire technology that have pushed durability to impressive levels. With these new tires, drivers feel that rotation is no longer necessary. However, tire rotation in St. Charles is still very relevant – here’s why. The first and most important question about tire rotation is what does the service do and how does it help. As the name implies, a tire rotation service moves your vehicle’s four tires to new positions. The reason why it’s done is to prevent uneven wear. There are a lot of factors that can influence wear, such as misalignment, parking next to curbs, and even personal driving style. The rotation of tires to new positions by a trained professional will translate to more even wear and a longer overall life before they need to be replaced. Tire life is obviously the biggest benefit of tire rotation, but there’s more going on than just extending how long your tires will last. After a rotation, one of the first things you’ll notice is the difference in how your car drives. If your car was shaky or had excess vibration before, a tire rotation could completely eliminate the problem. Add in an alignment service and your car should ride like new. The other side of the coin is that tire rotation also helps you save money. Because uneven tires mean that your engine has to work harder to travel the same distance, a tire rotation should improve your fuel mileage, thus extending how far you can go on a full tank. It may seem like a difference of pennies, but these pennies add up and keeping your tires rotated regularly will save a considerable amount over the life of our vehicle. The optimal frequency of rotating your tires depends on what type of vehicle you drive, whether it’s front or rear wheel drive, and the specific model of the tires. The generally accepted rule of thumb is once every 5,000-8,000 miles, but it’s a good idea to read the owner’s manual and tire paperwork to make sure. If in doubt, contact us at Rx Auto Service and we’ll help you decipher the right time to have your tires rotated. Tire rotation may have fallen out of favor since the introduction of tire technology innovations that stretch the life of tires, but this service still provides plenty of benefits and proper tire rotation will ensure that you’re able to hit those impressive milestones. For professional tire rotation in St. Charles, give Rx Auto Service a call to schedule a convenient time to bring your vehicle in. 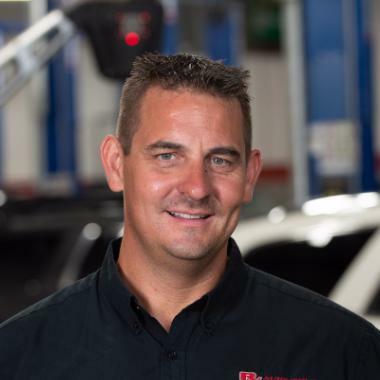 RX Automotive’s owner, Les Santeler, is determined to provide the Saint Charles, Batavia, Geneva and West Chicago area with an auto repair center that they can trust. As a local St. Charles resident, Les, is committed to treating every auto repair customer like family.